With the birth of the 29th state of the Union, the bifurcation of the judiciary is imminent. According to a TOI report in April, the full court of the AP High Court had decided to constitute a committee with judges to suggest ways to complete the process of dividing the subordinate judiciary for Telangana and Andhra Pradesh by the Appointed Day of June 2. Part IV of the Andhra Pradesh Reorganisation Bill, 2014 lays down the procedure and the bifurcation of the High Court. 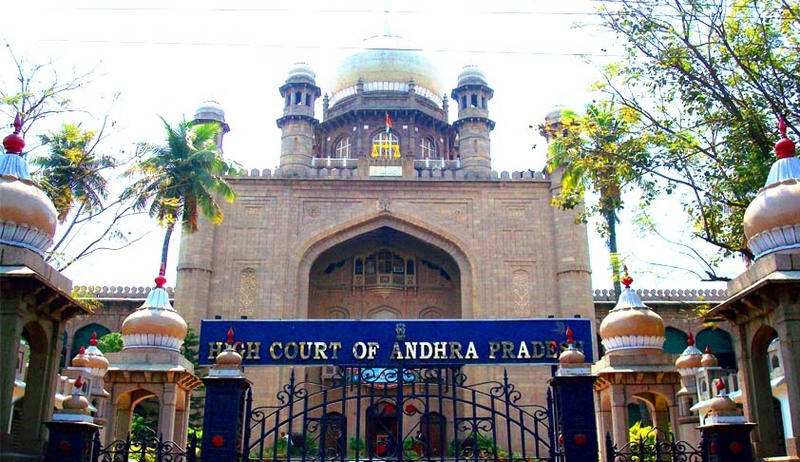 According to the Act, the High Court of Judicature of Hyderabad would be the common High Court for the State of Telangana and Andhra Pradesh, till a separate High Court for the State of Andhra Pradesh is constituted under article 214 of the Constitution read with section 31 of the Act. After the formation of this High Court, the Court in Hyderabad would become the High Court for the State of Telangana. The judges of the High Court at Hyderabad, who were holding office immediately before the date of institution of the Andhra Pradesh High Court, will cease to be judges of the Hyderabad High Court and become judges of the Andhra Pradesh High Court from that date. Their ranks would remain the same. From this date of formation of Andhra High Court, the High Court at Hyderabad would lose all jurisdiction in respect of State of Andhra Pradesh. The salaries and allowances of the judges would be divided amongst the two States on the basis of population ratio. As for the advocates, who are entitled to practice in the Hyderabad High Court, the Act enables them to opine in writing to the Bar Council of the existing state, as to transfer his name on the roll of the Bar Council of Telangana. This should be done within one year of formation of the Andhra High Court. The persons other than the advocates, who are entitled to work in the High Court at Hyderabad, would be entitled to practice in the High Court of Andhra Pradesh or any sub-ordinate court. The ruled of practice and procedure would apply in the same way, with necessary modifications. The jurisdiction for pending cases in the Hyderabad High Court would be determined by the Chief Justice of that High Court, having regard to the place of accrual of the cause of action and other circumstances. With regard to proceedings pending before a lower court, tribunal, authority or officer of State in an area which falls within the State of Andhra Pradesh shall, if it is a proceeding relating exclusively to the territory of the State of Telangana, the proceeding will stand transferred to the corresponding court, tribunal, authority or officer of that State. In case of a dispute as to such transfer, the decision of the High Court at Hyderabad would be final. With respect to appeals, the High Court of Andhra Pradesh won’t have any jurisdiction to entertain, hear or dispose of appeals, arising out of any proceedings or order passed by the High Court of Hyderabad. The Central Government would provide special financial support for the creation of High Court. The government had refused to set a date for the division of the High Court, when the bill was being passed. Asududdin Owaisi had moved an amendment to create two separate high courts immediately. It was negatived. Steps need to be taken as soon as possible, so as to ensure clarity in the delivery of justice by the courts. Legal News India, Telengana Bifurcation, Andhra Pradesh High Court News, Bifurcation of Andhra High Court.